German, City of Hall. Anonymous 14th to 15th century. Silver hand Heller. 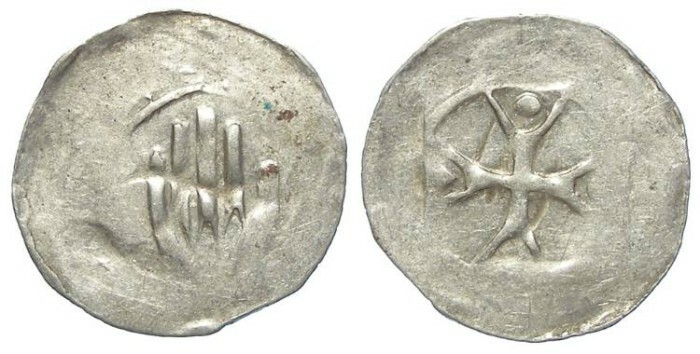 Reference : Saurma 1365 / 608. Size : 16.6 x 17.2 mm. Weight : 0.55 grams. Grade : gVF (or better) with a fairly nice strike. Obverse : Hand with the palm forward, probably representing the "hand of God".